Security is always very important when it comes to any type internet communication. SSL certificates are one way to get higher level of security for web servers. When a web server runs using secure protocols, it is using public and private keys in order to encrypt the traffic. The traffic is encrypted on the server, then send to the client (still encrypted) and then it is decrypted at client’s side (using the certificates). This actually makes data unreadable for any potential intruder. 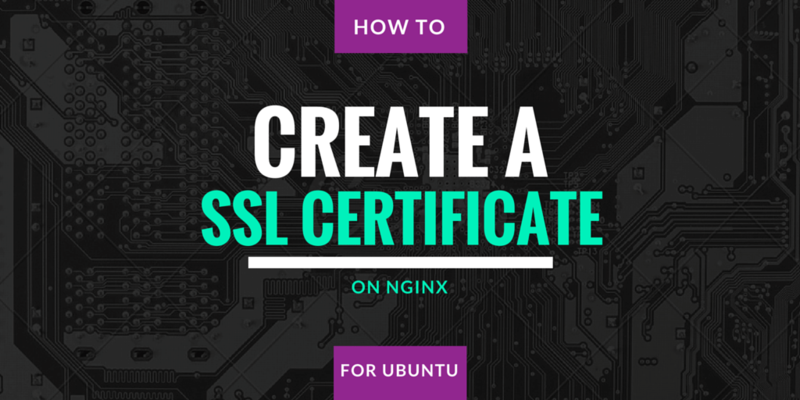 The SSL certificates are usually issued by certificate authority but we can create our own, self-signed certificates as well. Once the directory is created, we will perform all the required steps, inside that directory so all output files will be saved there. After we execute this command, we will be prompt to enter some information, like Country, Company, Address, Email and possible some other fileds.. We should fill in the information properly since that information will be visible to the public once the certificate is created and used on our website. The most important is “common name” value. Our fully qualified domain name should be entered here. We leave the optional company name and challenge password blank. Now that we have the .key and .csr file, we are ready to create the certificate. Having the passphrase on the key file adds extra security, but it might be inconvenient In case of automatic server reboot or similar situations. After making the changes and saving the file, we should copy the virtual host configuration file into /etc/nginx/sites-enabled/ and then restart Nginx. After then restart, if we point our browser to https://our-domain.com we will be able to find the certificate on the page. That’s it. We have added the certificates and all traffic on our website is now encrypted.